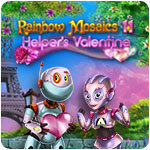 Rainbow Mosaics 11: Helper's Valentine Game - Download and Play Free Version! Dear friends! The Amazing Robot Helper is in our sights again! A while ago, we lost sight of him - the Helper ran away while returning to the Diagnostic Research Center. Just a moment ago, the Helper was spotted at the Recycling Center. Out-of-date or broken robots get crushed there. Oh wait! 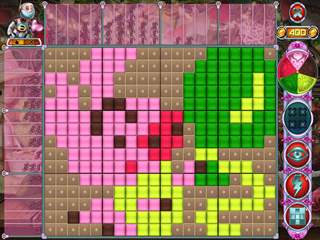 Than the Helper kidnapped a broken robot girl right before our eyes. But why? If the Helper were human, we might think that he liked the robot and our hero was going to repair it. But the Helper is not human! 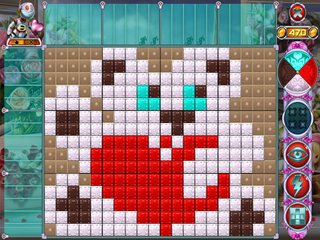 His actions are determined by the operation of computer algorithms, and there is no room for feelings! In theory. Anyway, stay with us, and we ll find out what is going to happen.